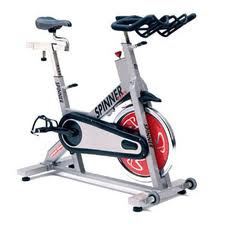 Recently I rediscovered indoor cycling or "Spinning®". A few years back I went for my very first time. It was in the gym I had a membership with and I liked it but was not that impressed by it. I think that was around the same time I discovered I LOVE fitness and all sorts of sports and especially running so I really tried out everything. I remember one time my friend got me a guest membership in her gym in Wimbledon (Nuffield Health) and that indoor cycling instructor was THE hottest guy I have ever seen ;) Unfortunately he was only a substitute that day and we never ever saw him again...... Anyway, back to Spinning®,..... back then I liked it but did not really enjoy it. It was all about sweating and working harder and harder and all I remember was having to change the gear constantly. I felt good after but during the session I kept wondering what I was doing here and just wanted to get out of there. The music was not really my taste and I did not understand the instructor most of the time due to acoustic issues and the pain in my bum was not fun either the day after. In June my friend suggested to do a group exercise class together, so she did some research on what we could do and found a few indoor cycling studios. We decided to sign up for the £20 for 20 days introduction promotion with Cyclebeat. Their studio is great and you can see it's new. They are situated near Bank tube station and offer different sorts of memberships and you can hire cycling shoes for £1.00 per visit. The instructors are really very friendly and helpful. The music is great and every class is different but a lot of fun. They also organise race nights, so it is a very competitive environment. They have screens at the front where you can see your rank. You can only book into classes via their website, but at least you can get to choose your bike already. If you work in central London and want to do something new I would recommend to try their special offer, like we did. It's a great experience. They do offer classes all day and on Saturday as well, but no classes on Sunday. For me it was not worth it really as I had to come from Wimbledon to Bank, so that was not really on my way home. We also found another Spinning® Studio in Wimbledon, the Pedal Studio. They also have a studio in Putney.They don't offer that many classes, but to be honest the amount of classes they offer is more then enough. In Wimbledon you can go to a class every morning or evening apart from Fridays. Ever since I went there for the first time I am hooked. I try to go at least 3 times a week, but unfortunately I can't make it every week, like this week I have not even been once :(. I love this studio, I am seriously addicted to it. It's on Elms Grove in Wimbledon just above the Bikram Yoga Studio. They do classes on Saturday AND Sunday mornings, which is great as it gets you out of bed on the weekend. It's an awesome way to start your day. They also have an offer for new riders - £12 for 7 days. And after that you can buy ride credits. The more you buy the cheaper each class gets. I have the £60 for 10 rides pass. With them you also have to book into a class online as they do not have a reception or anything. But if you have questions you can always contact them via email or ask the instructor directly. You cannot choose your bike though, so be there on time and you get the bike you want. There are not too many people attending these classes, which is great as it makes it more personal. But even when the class is fully booked it still isn't too crowded. The classes are all about your heart rate so once you come in you put on the heart rate monitor, provided by them, and off you go. Your heart rate will be shown on the screens in the front, so you can work with that and the instructors always tell you where you should be at the moment and where you should get during certain periods. I must admit that working with your hear rate was a bit difficult at the beginning, but you get used to it and learn how to use your breathing properly to keep it under control. All the instructors there are really very friendly and helpful, and I just love their music. Makes you want to sing out loud sometimes. You feel like you are part of a big family. All I wish they would do is a pass where you could come as many times as you want as it might make it cheaper, but otherwise I think it's great value for money and I'd recommend them to everyone. 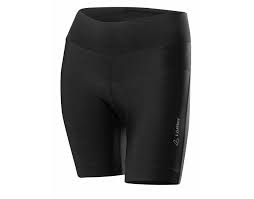 I even bought my own cycling shorts and soon I want to get some shoes as well. I keep telling all my friends about it and try to make them come along as well. Hope I'll be successful soon. I also found out that there is an outdoor Spinning® class called Spin Out Fitness. I haven't tried them yet, but I am planning on do so. With these classes you have to have your own bike though. I enjoy the classes so much, I am thinking of becoming a Spinning® instructor myself. There is so much more I would like to say about Spinning®, but I will keep this for another post. Have you ever been to an indoor cycling class and how did you like it?